I’m a lucky guy. One of my wife’s many attributes is that she is a sensible car enthusiast. Sarah is not a rabid car freak but she is passionate about cars—she cares what she drives and she likes performance. When we first started dating she drove a carbon black BMW E46 M3. Sarah is very decisive about cars—she knows what she likes and what she does not like. For the last few years, we have been considering finding a small car to leave at our house in Flordia. 2018 became the year that we finally pulled the trigger. Like many new car purchases, there is a story behind it. Normally I ship Sarah’s BMW X5 to the Sunshine State slightly ahead of the winter season. I’ve been using the same carrier for years and they generally have done a decent job. This year a series of snafu’s occurred and days of delays turned into weeks. For some unknown reason, the shipping company could not get her car on a carrier to Florida. In the interim, I rented Sarah a Kia Soul—we affectionately named it “The Hampster Car” because of their peculiar and prolific rodent-based advertisements that market this Korean econobox. 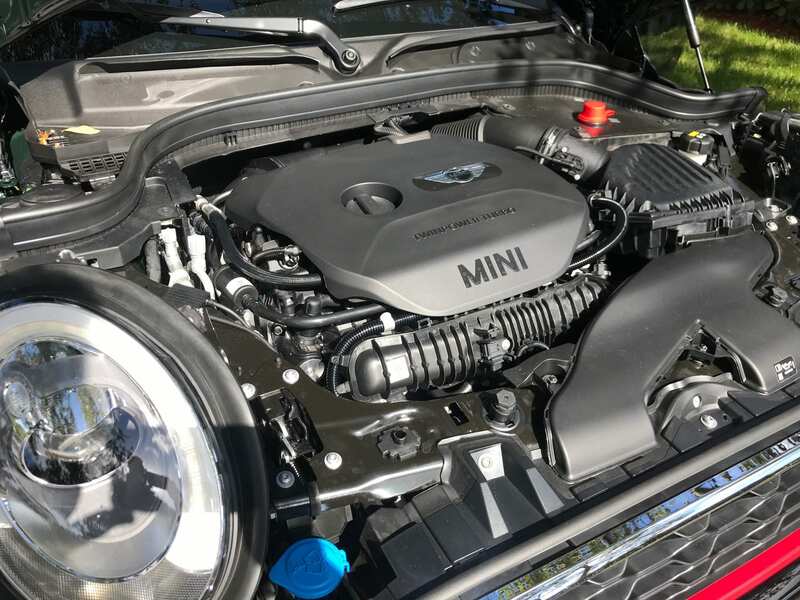 One afternoon in mid-January, Sarah called me at the office and said, “I’m at Braman Mini in Palm Beach and I just got a Mini Cooper.” I was not surprised—Sarah has always loved Mini Coopers and driving the passionless rental Kia Soul had taken its toll. Sarah had a Mini Cooper “S” when she was in graduate school at NYU. Her old Mini Cooper was a great car with the exception of one thing—the S package gave it such a harsh ride that on the rough New York City pavement it would randomly change lanes on its own. Over the years, Sarah went through several rims and tires driving through the West Village of New York. The Mini Cooper S was like driving a ping pong ball down the Henry Hudson Parkway! But despite this, Sarah always loved her Mini Cooper—and I’ve always been fond of them too—they are quirky, well proportioned, and a ball to drive. 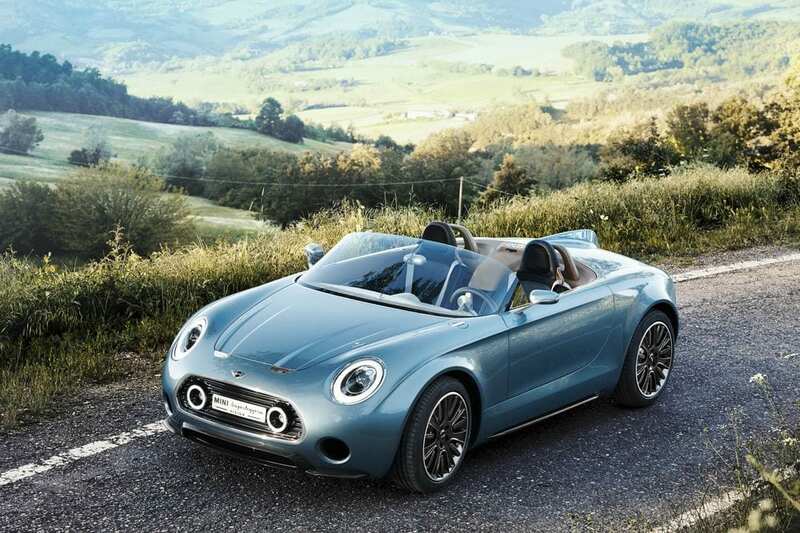 The Mini Cooper is a great alternative to a mundane VW Golf or a snub-nosed Fiat 500. The shipping delay of Sarah’s X5 was a perfect excuse (and opportunity) to get a Mini Cooper back in her life while at the same time leaving a handy and fun car down in Florida. John Cooper Works (JCW) is an English company based in Farnborough, Hamilton. 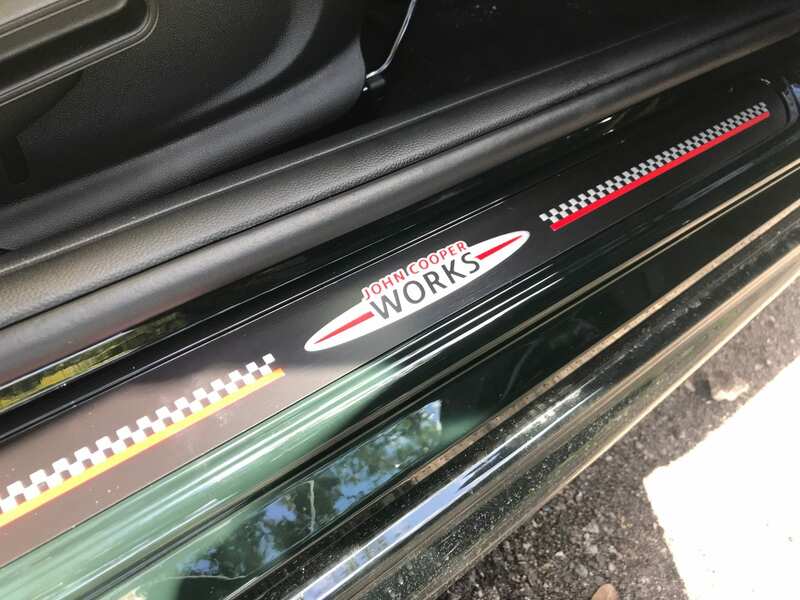 JCW was founded in 2000 by Michael Cooper, the son of John Cooper—the racing car maker and tuner responsible for the original Mini Cooper. Starting in 2002, JCW began producing tuning parts and accessories for BMW’s revamped Mini Cooper. 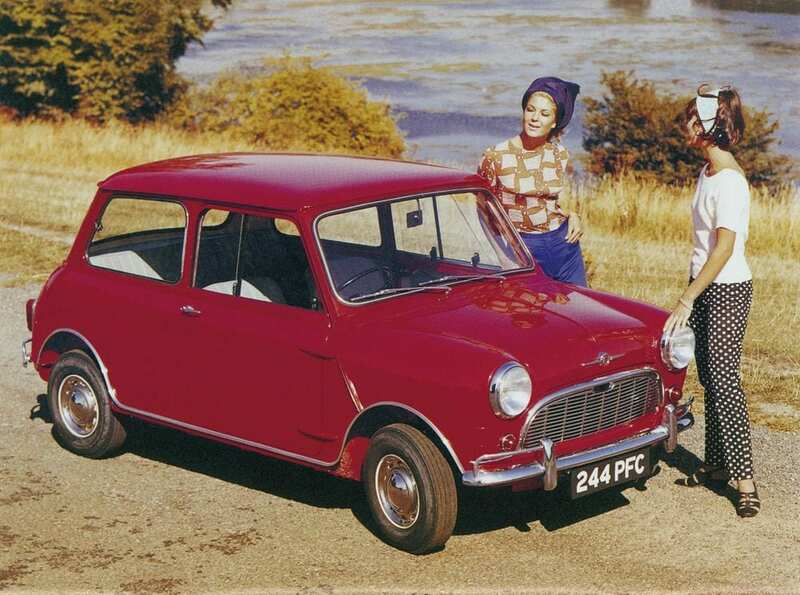 The first-generation JCW kit was a 126 hp accessory for the then-new Mini Cooper. The kit consisted of upgrades to the air filter, exhaust, and a remapping of the electronics. These enhancements increased performance and did not void the factory warranty. Later upgrades included more significant performance improvements that further upped the ante. 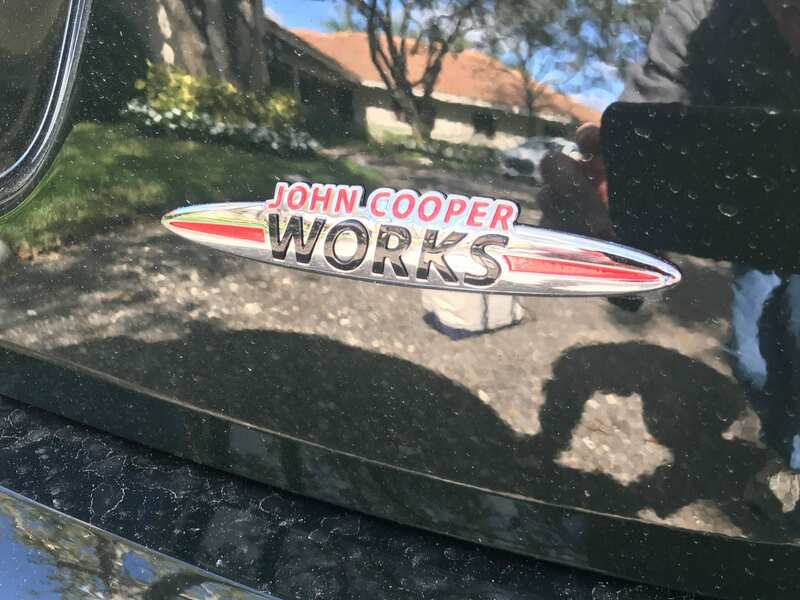 Akin to Mercedes-Benz buying AMG, BMW ultimately bought out John Cooper Works in 2008. 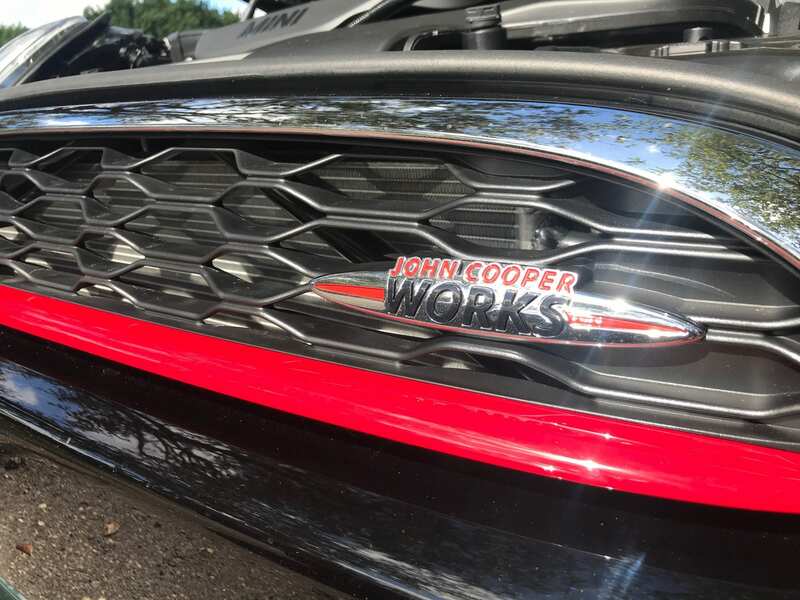 Today the JCW is a factory option that includes a more powerful engine, upgraded performance parts, and signature design elements. For a full history of the JCW, click here and here. 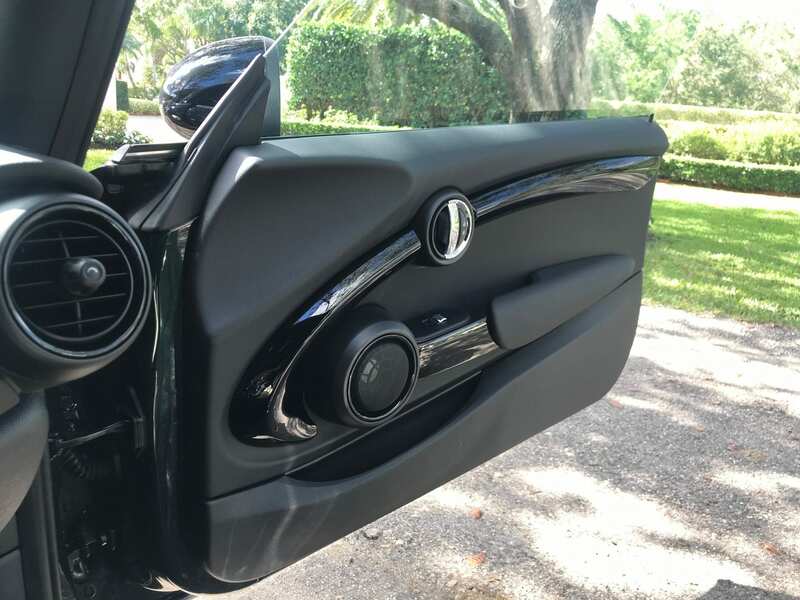 Recently, Sarah and I drove her JCW across Florida for an overnight getaway to Boca Grande. The JCW was comfortable, fuel efficient, and fun. 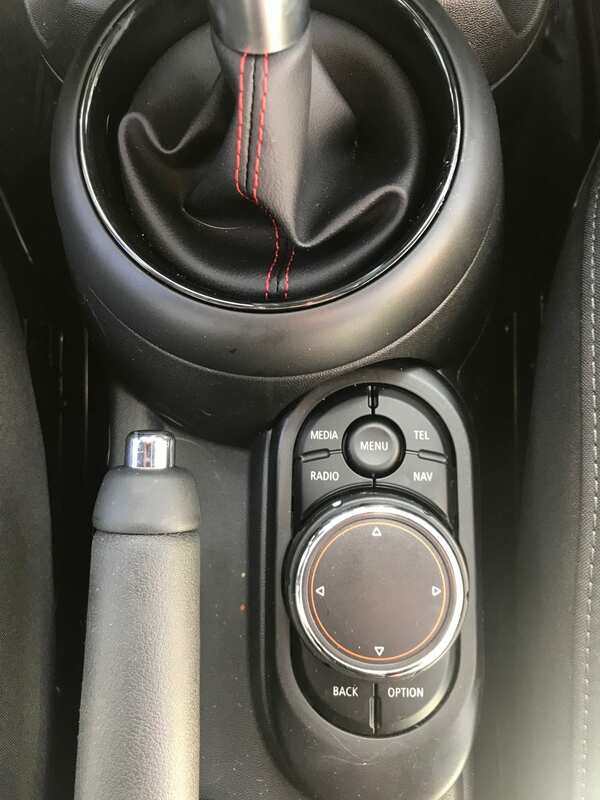 The overall fit and finish of the car is top notch and everything just works—the placement of switches and overall ergonomics are unparalleled. The JCW Mini Cooper is a go-kart with substance—the car has an impressive amount of raw and usable power. The transmission feels like something out of an F1 car. 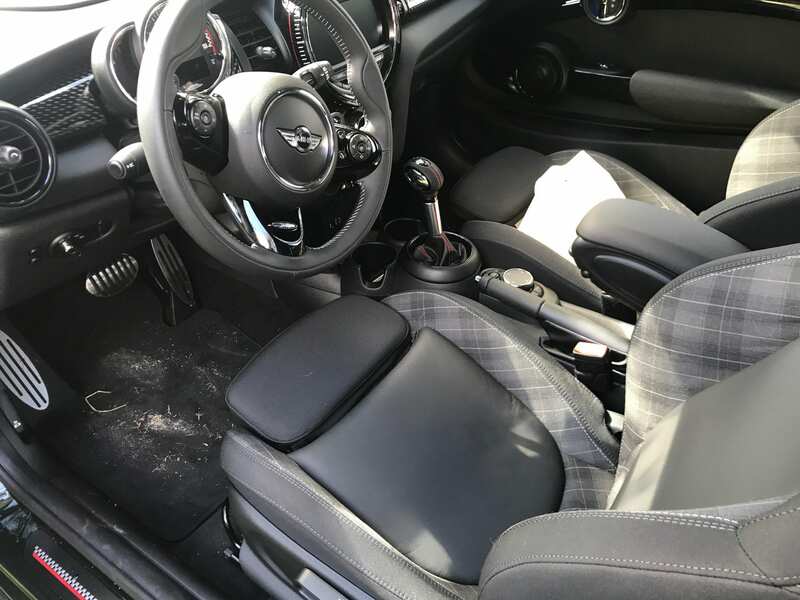 The JCW is optically a small car, yet there is plenty of room inside. The seats are supportive and the driving position is comfortable. In the short jaunt across desolate central Florida, I fell in love with this British lightweight. Sarah wrote a great summary of our road trip on her own blog. Check it out at Grappa Lane. 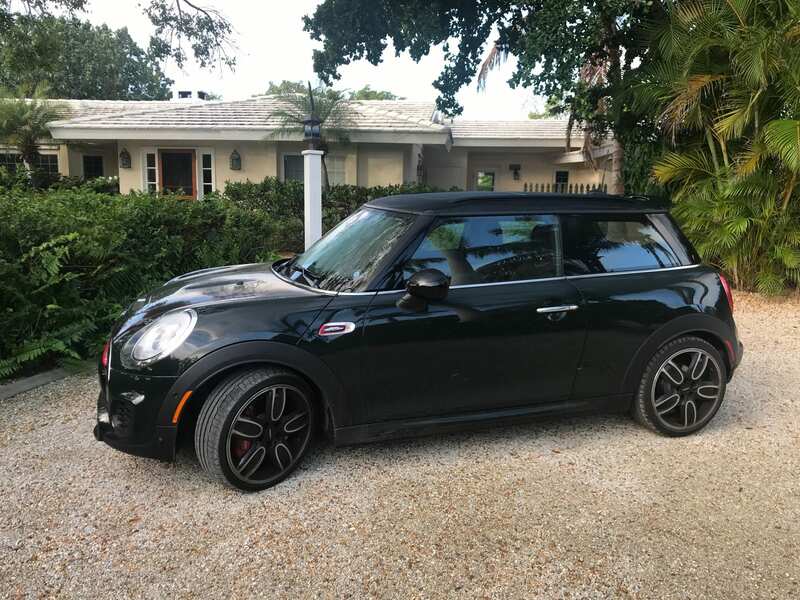 The Mini Cooper JCW in Boca Grande Florida. The JCW turbocharged four really makes a lot of useable power. 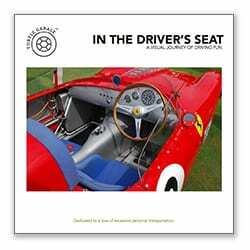 The leather and cloth seats are very comfortable and supportive. 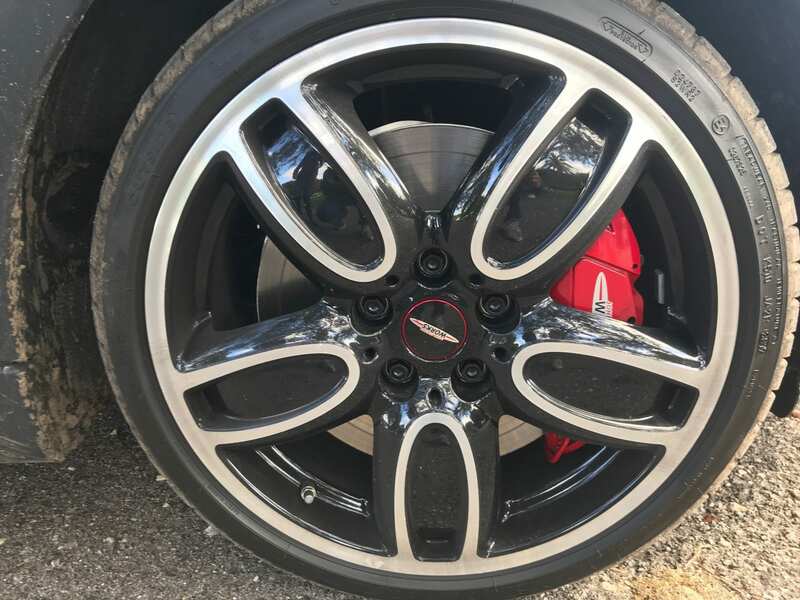 The JCW wheels give the car a lower and wider appearance and expose the massive disc brakes. Even the door is stylish. The JCW is fully equipped with Navigation and satellite radio. Extra signage lets you know this is no normal Mini.